Why not stock your commonly used moulding profiles? Order bundles of 250, 500, 750, or 1,000 lineal feet. Includes all moulding profiles, S4S, and face frame material. Ask customer service for pricing. Surfaced 4 Sides: Unfinished boards surfaced to your specified dimensions, any species. Available in any size up to 5/4“ thick. 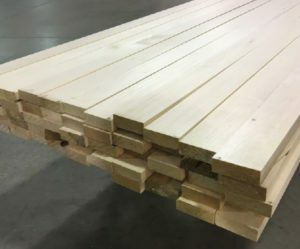 “Standard” moulding lengths can vary according to lumber inventory. Typical lengths are 8, 10, or 12 feet. Specified lengths are available upon request.